Jessie Frerichs’ battle with a brain tumor was a traumatic experience that required four surgeries and having to relearn to walk more than once. It also left her with a disability. Unfortunately for the single mother, the string of events that took place leading up to and following her diagnosis weren’t the plot of an hour-long medical drama on TV, but instead were, and still are, a part of her reality. Frerichs’ battle began at the age of 15 when she started to get headaches and have seizures. She found out her family has a history of brain cancer and it’s what caused her grandmother’s death back when Frerichs was five years old. At the age of 20, while she was having her first child, she almost had a seizure but Frerichs’ mother helped her get through it by talking to her which helped Frerichs pull herself out of it. In 2011, at the age of 23, she brought her second child into the world and things were normal for about a month, but then the constant headaches returned and would not go away. Frerichs went to the hospital where she was admitted for a week and testing revealed she had a golf ball sized tumor on her brain stem, which was causing her symptoms. In order for Frerichs to survive she would need to undergo a life-saving surgery that only had a 40 percent survival rate. With no other options, she prepared a will for her children in case something went wrong and underwent the procedure. The tumor was removed, but upon opening her eyes for the first time after the surgery, she learned she was faced with a new challenge — double vision, something she’d be dealing with for the rest of her life. “When I woke up from the surgery my eyes were going in opposite directions,” she said. Double vision means Frerichs sees two of everything. “I believe the surgeons accidentally nicked my optic nerve during the first brain surgery,” she said. When Frerichs learned about her double vision, she also couldn’t walk and was told she was going to have to relearn how to do so. 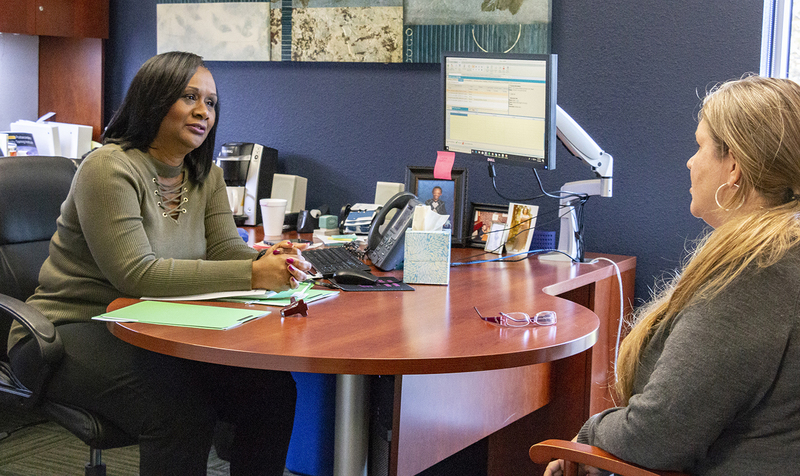 Student Accessibility Resources offices are located on each of TCC’s five physical campuses and are in place to level the academic playing field for students with visible and invisible disabilities. Frerichs had to participate in physical therapy where she used the Nintendo Wii balance board accessory to help with her balance and used the parallel bars at the facility to lean on as she re-taught her body to walk. Since the first surgery, Frerichs has had to have three other brain surgeries to remove tumors that have grown. She will continue to have to have surgery each time a new tumor appears and begins to bleed due to the bleeding being life threatening if the tumor isn’t removed. Frerichs’ story isn’t just one of enduring perseverance, it’s also a story of a single mother trying to make a better life for her two sons. In order to make this dream a reality, Frerichs enrolled at TCC in the Spring of 2018. 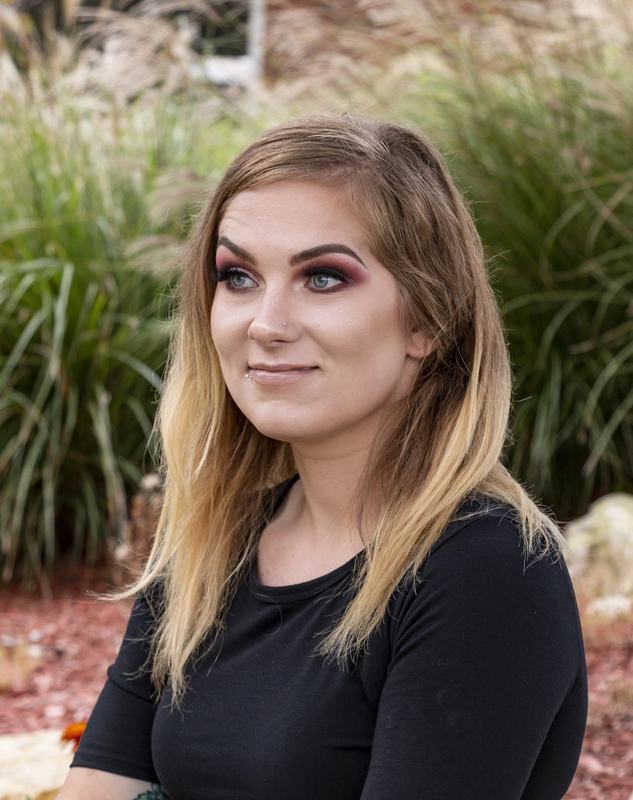 Frerichs knew she was facing an uphill battle due to her disabilities, so she sought out support and found it in Student Accessibility Resources, which would provide the crucial assistance she needed in order to achieve her goals in higher education. SAR provides accommodations for students with disabilities and is available throughout the TCC district at each of the five physical campuses, said South SAR coordinator Yolanda Thomas. TCC Connect does not have a SAR department at this time, but online students get assistance from the SAR offices at the campus easiest for them to get to. Thomas explained how students go about getting help through SAR. The student would then tell Thomas their struggles in the classroom and following the evaluation, SAR would determine how best to assist that student based on their individual needs. They also give students letters to give to their instructors to inform them of the accommodations that the students need. For the students who do not have any documentation of a disability and think they may have one, they can go to the SAR office and fill out paperwork documenting what the issue is. Then the paperwork is forwarded to an Educational Diagnostician so a test can be given to see what is going on with the student. Once the test is finished and the proper diagnosis has been given, the student will now have their documentation and accommodations can be given. Frerichs, who is working to become a physical therapist, receives assistance from SAR in the form of audio textbooks, magnifying glasses to read text and receives extended time on her work so she can make sure it’s done properly. Frerichs said SAR staff makes her feel welcomed every time she comes in the office. “It feels like a family in the office, and I can come to them with anything I need,” she said. In addition to pursuing her degree, Frerichs has also become somewhat of a motivational speaker. She’s been featured on KDFW Fox 4 news network, and on panels about disabilities where she talks about her condition and how she doesn’t let it keep her from being successful.